Nersessian, Nancy J., Kurz-Milcke, Elke, & Davies, J. (2005). Ubiquitous computing in science and engineering labs: A case study of a biomedical engineering lab. 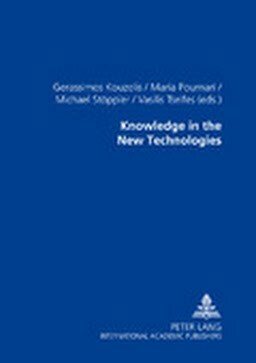 In Knowledge in the new technologies, edtited by Gerassimos Kouzelis, Maria Pournari, Michael Stöppler and Vassilis Tselfes. Peter Lang Publishing.